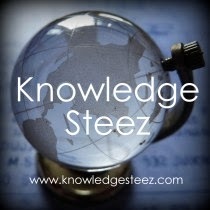 The Knowledge Steez is looking for interns for a Social Awareness Internship. The internship will commence on August 15, 2014 and will run for a period of two months. Interns will be made to work on various projects relating to Socio-Legal & Eco-Legal Development. Enthusiastic people committed to the cause, willing to interact with others, and intensify their experience of social and legal issues. The interns must have good researching, writing and communications skills. Most importantly, they should be able to meet the deadlines. This internship program aims to develop in the individuals the understanding of law by providing them with means to augment democracy, human rights, social and economic welfare. Students enrolled in UG and PG courses across colleges in India are eligible to apply. Students pursuing courses on Law, Social Sciences and Humanities will be preferred. There are only five internship slots. However, students can also form a group (3-4 members from their college) and apply. This internship is voluntary. Students taking the same will not be provided with any remuneration. A Certificate of Acknowledgement will be awarded to the candidates on the successful completion of the internship. Interested candidates can send their Curriculum Vitae along with a Statement of Purpose to [email protected] on or before July 30, 2014. The Knowledge Steez is a sincere effort to keep students, researchers, scholars, academicians and teaching fraternity across India, updated with and aware of upcoming opportunities in the form of Call for Papers, Article Submission, National/International Conferences/Seminars, Academic/Research internships, Essay Competitions and Free Online Certificate Courses offered. Our aim is to help students and academicians in achieving their career/professional objectives by providing useful scholarly information in real time and shares our practical insights in these subject areas. We are also in the process of developing valuable educational resources and guides for our members free of cost. Next Article Centre for Civil Society–LawLex “COMMUNICATING FREEDOM” Essay Writing Competition; Submit by 15 Aug; Prizes upto 10K.